This tiny kingdom only opens its doors to a few thousand visitors each year. The rest of the world hasn't discovered Bhutan yet, so we'd appreciate it if... shhhh... you'd help us keep this hidden gem in the Himalayas a secret. Bhutan is an ancient ancient Asian civilization and a Buddhist state, so chances are you'll have a full itinerary just taking in the traditions, customs, architecture and lifestyle of its people. The Bhutanese flock to Buddhist festivals, but so do tourists and overcrowded festivals have been a problem in recent years. Instead, try visiting one of the monasteries high in the mountains or see the undisturbed wilderness at Jigme Dorji National Park or one of the many wildlife sanctuaries. Note that much of southern Bhutan is closed on the Bhutan side due to security issues, so be sure to check with the local tourism office before you set off for the south. The vast majority of visitors to Bhutan do so through an official travel agency that's been officially licensed by the Bhutanese government. Once you've decided upon a travel agent to use, you'll tell them where in the kingdom you want to go, what you want to do, and how long you want to stay. You'll then get a bill for the total amount of your trip - including airfare on Druk Air. Flights into Bhutan are limited to the Paro Airport and are only available on Druk Air, which has a whopping two planes in its livery. The biggest hub connected with Paro is in Bangkok. Once you've gotten your bill from the travel agent, you'll wire transfer the payment before your trip. Most people go through Bangkok and just pick up their tickets there on the morning of their flight, but it's always a good idea to call the airline when you arrive in Bangkok to make sure they know you've arrived and that you're ready to go on to Bhutan. When you finally arrive at Paro Airport, you'll pay for and receive your Bhutan visa. Bhutan's one city is Thimphu (although even that's pretty small), where you'll find some hotels (although their conforming to a standard of quality is by no means guaranteed). Other than that, Bhutan's villages and towns don't all have hotels available, so be sure to research this part ahead of time so you know where you can stay and where you can't. Luxury 5-star hotels are a rarity in Bhutan, although you'll find some in Paro and a few other places, and there tends to be a big difference in quality between this level of hotel and everything else. You won't find anything like a true hostel in Bhutan with dorm rooms, although some budget hotels in Bhutan may have a similar feel to them (minus the bunk beds). Note that if you're going through a travel agent (as most people do), they'll likely have deals set up with certain hotels in the country, so you may be restricted to staying in the hotels on their list. 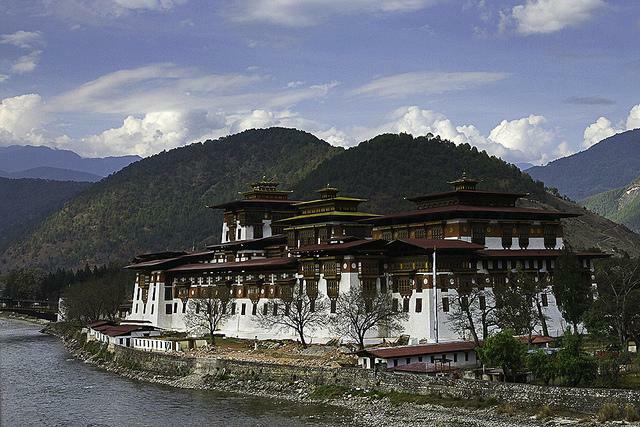 For more information on Bhutan, post a question on the message boards or check out one of the many travel stories about Bhutan and other destinations in Asia.